There’s been versions of the BBC iPlayer knocking about for iPads and Android smartphones for ages, so this dedicated iPhone version is well overdue. The iPlayer for iPhone app is compatible with the iPod touch, iPhone 3GS, 4 and 4S handsets running iOS4.3 and above, and serves up all of the BBC’s national television channels and radio networks. Available to download in the Apple App Store, the new app features a “neat” live channel switcher letting users flick between channels via the ‘Live Channels’ button. The app is also compatible with Apple AirPlay, so users running iOS5 can connect their iPhone or iPod touch to their Apple TV to watch shows. Any of the BBC’s national radio stations can also be accessed, with background audio conveniently enabled, and there’s also support for 3G streaming (although devices older than iPhone 3GS and iPhones and iPod will remain Wi-Fi only). 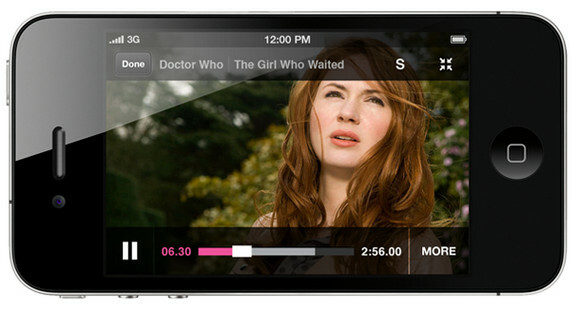 BBC’s figures show a growing amount of people using the BBC iPlayer, with 1.5 million iPad installations and 1.2 million installs on Android devices since launching in February 2011. The Beeb says that they are also currently working on their BBC iPlayer Android app, with a new release supporting 3G streaming set for the New Year. Huzzah!